Excellent food, friendly hosts, good location, excellent fire, clean rooms ,hot showers! Convenient ski-in, ski-out. The food was amazingly good night after night, with breakfasts just right. Claire and Al were very relaxed hosts. Again another fantastic stay with the warm friendly environment that we now take so much for granted.... not to mention the outstanding food!!! Thank you again Al and Claire for making our stay so enjoyable. The best snow of the season to date and sunny, clear sky, no wind all weekend 16 - 17 July. Ripparoo - casual and homely, just the perfect Lodge to enjoy. Great company from friendly guests, warm room with a view, good ski storage and drying room and above all perfect hosts AND staff. Fantastic, classy, gourmet 3-course evening meal and cooked breakfasts beyond ones imagination. 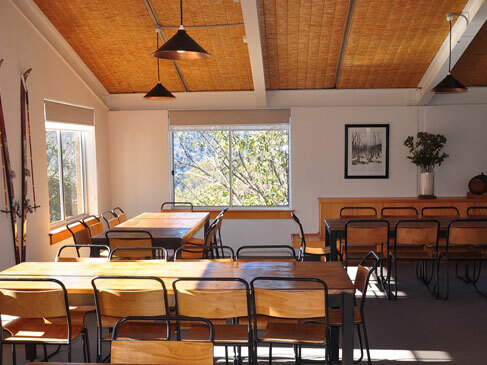 Claire and Al have loads of experience and run a great Lodge - nicely refurbished this year, positioned in a prime ski-in ski-out setting with breathtaking views of the Bogongs. Well done and thank you Claire and Al. Rob and Noelle B.